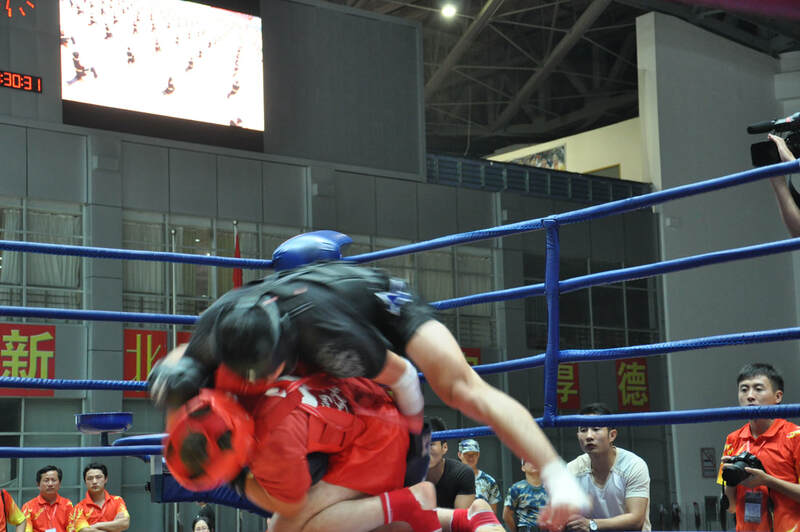 This site is a directory of martial art clubs in Asia, Asian fighting arts associations, and brief news about Asian martial arts people, events, history and philosophy. NOTE: I've noticed on some phones the sub-menus on the navigation bar above don't appear. So, I've added a site map with links at the bottom of this page. 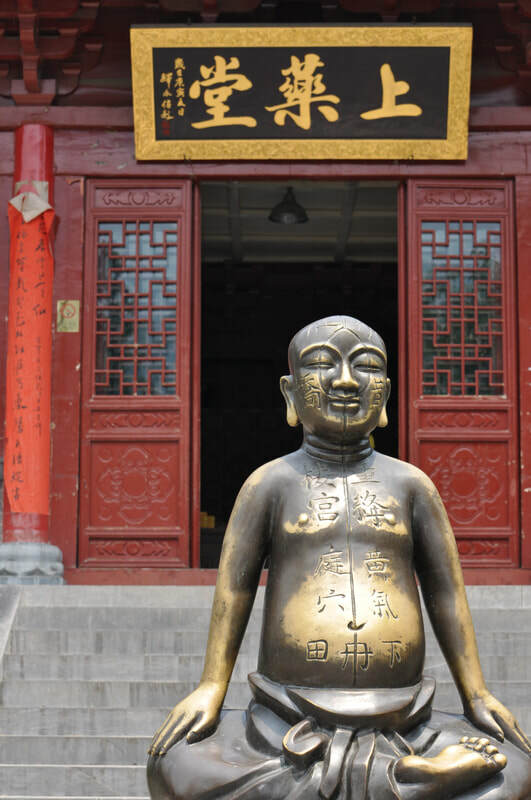 How to live and train at Songshan Shaolin? 390 Progress Ave. Unit 8. Headquartered in the Shaolin Culture Center in the German capital of Berlin, Shaolin Europe Association consists of 11 Shaolin cultural units across Europe. Up to date, well developed site. 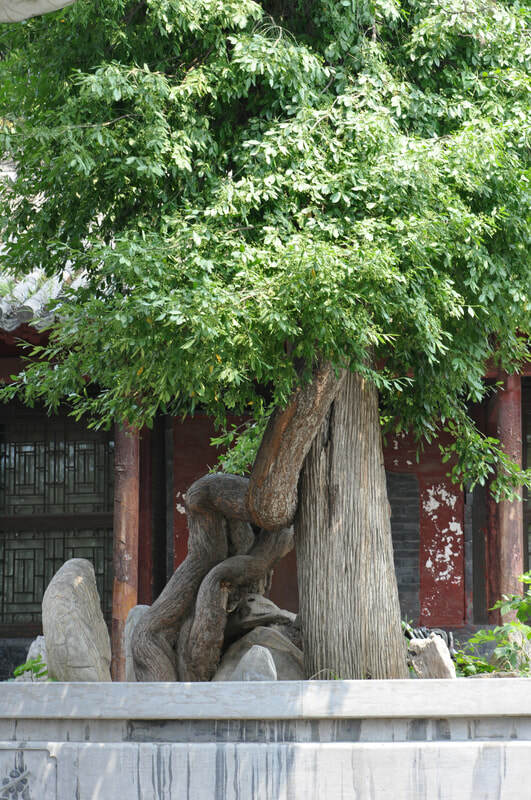 There are a few different locations for learning Shaolin Kung Fu. On Feb 25, 2018, with the joint efforts of Shaolin culture fans in Jakarta and the support of Indonesian Shaolin Foundation, Indonesia Shaolin Cultural Center was officially established. Roger Müller is an ordained student of the legendary Shaolin Temple and belongs to the 34th generation. The abbot Shi Yong Xin has given him the name Shi Yan Long (释 延 龙) . 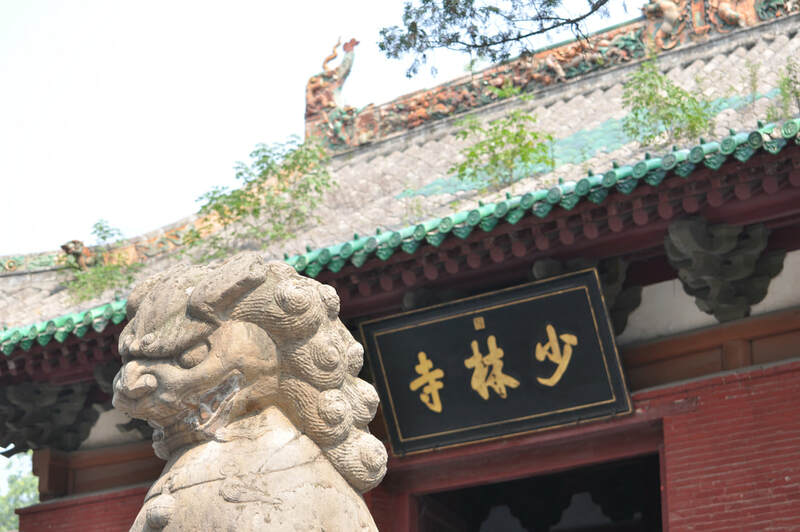 "Shaolin Culture Center" - the official status, which gives the right to represent the Shaolin monastery in Russia, in the city of St. Petersburg. On January 1, 2016, the abbot of the Shaolin monastery, Shi Yun Xing, handed over documents in Chinese to Oleg Alfredovich Guzitaullin confirming this right. In the spring of 2017, the abbot signed the relevant documents in English and Russian. Shifu Shi Yan Gui, 34th Generation Disciple of Shaolin Temple China, one of the UK’s most prominent and exciting Shaolin Kung-Fu and Kickboxing instructors. 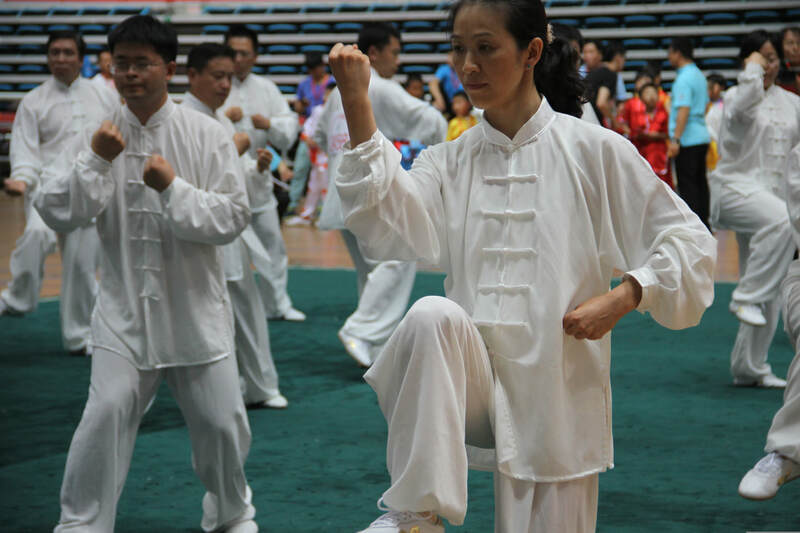 On page 4 of google one may find: http://www.shaolinusa.us/ShaolinClassSchedule.html with many but not all American Shaolin Culture Centers list along with contact information and class schedules. The above list is not complete. It only represents those Shaolin Cultural Centers found on the Internet using Google and Facebook. 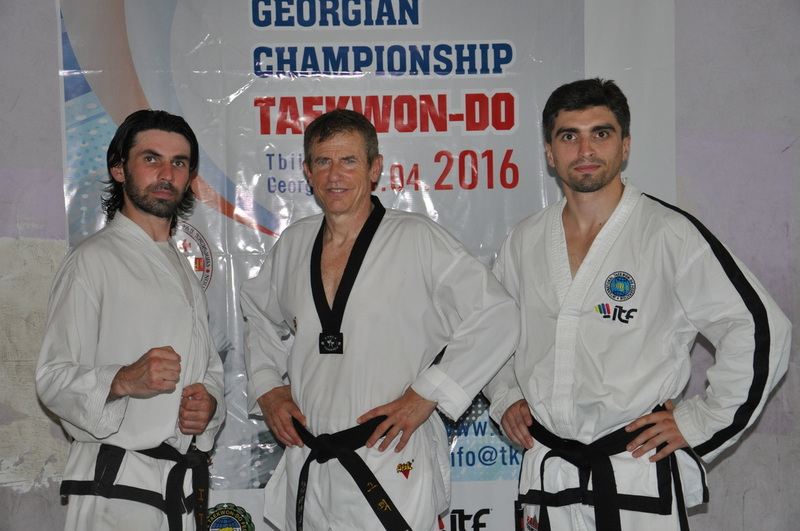 This is great news for the Taekwondo world. Taekwondo Times has been "uniting the world through martial arts" since 1980. I've been writing for them for about 15 years. 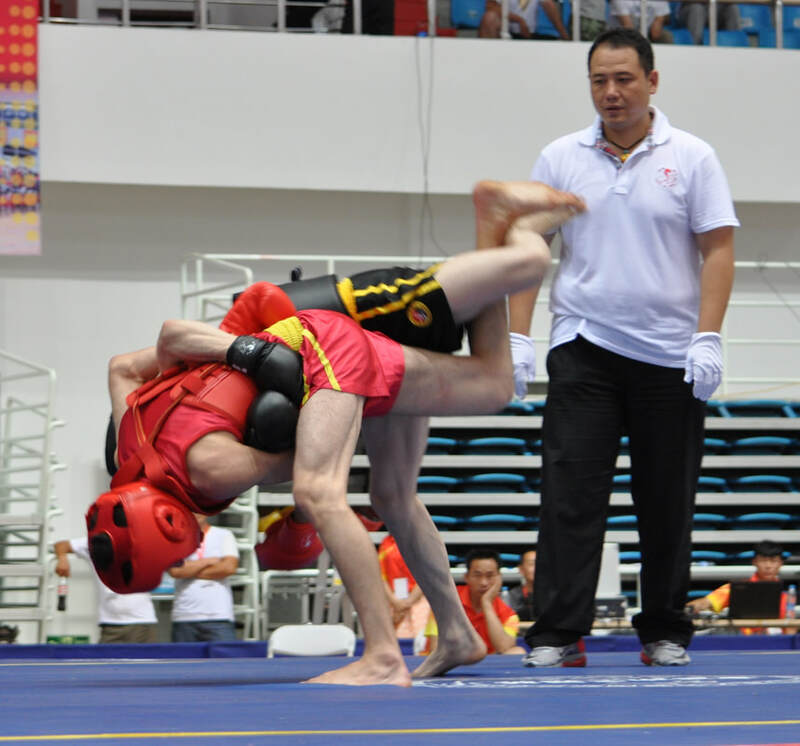 The Silk Road Kung Fu Friendship Tour & Silk Road Taekwondo Quest Series CONTINUES! Writer at Korean TKD School in Doha, Qatar, Master Jae Kun Shin, the head instructor, 7th Dan from Jeonju South Korea. Felt like home to me! Even though I'm far from finishing my Silk Road Kung Fu and Taekwondo Friendship Tours, last summer I made a visit to Ethiopia and got to meet, interview, photograph, and train with some extraordinary martial artists. Stay tuned to www.kungfumagazine.com and www.taekwondotimes.com for details and photos from that trip. Also, on my new fightingartsafrica site there are some photos from that trip. That's TKD Instructor Lu Yi in Dunhuang on left and wandering martial artist on right. Best MMA Training in Qatar? Gotta say thanks to the great guys at The Cage Sport on Salwa Road, Ain Khalid Area. They have an excellent scene there with boxing, kickboxing, jujitsu, and taekwondo. Cool atmosphere with a ring, bags and top coaches. 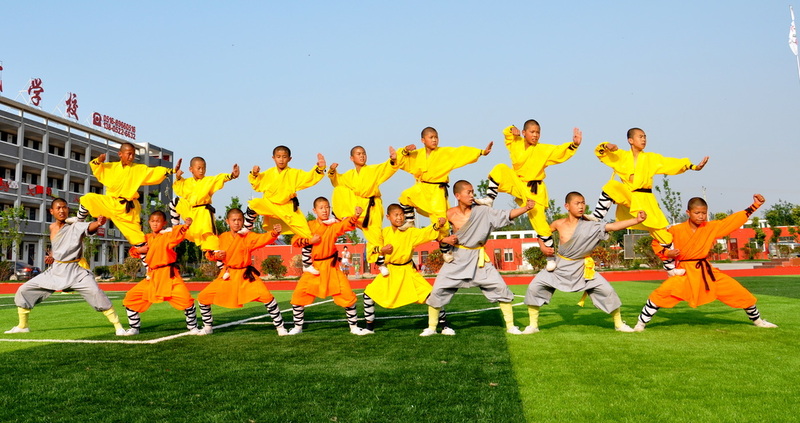 June 4, 2016 Below is a photo from a the Peixian County Shaolin School, Jiangxu Province – (The Real) Hometown of Chinese Wushu with a history going back to the Han Dynasty. There I witnessed one of the most impressive Shaolin Kung Fu demonstrations I've ever seen. Master Meng Xiang Jun is a 12th Generation descendent Master of Xu Style of North Shaolin Fist, founded by Grandmaster Xu Xing Wu. Though a full-time elementary and middle school, people of all ages are invited to live and train here. Peixian is an idealic small town. I spent a truly beautiful three days there during the recent Dragon Boat Racing Festival. And as always, many thanks to Gene Ching, editor of Kung Fu Tai Chi magazine in the U.S. 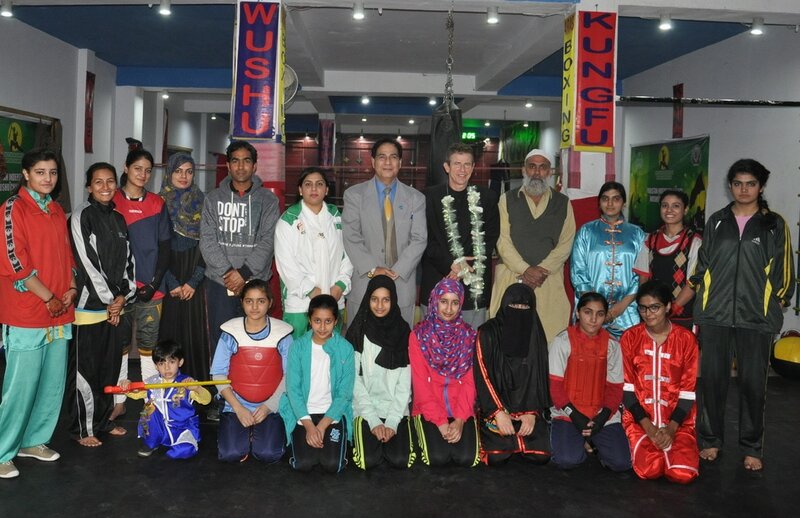 Though I didn't know it at the time, my visit to Kabul's Masters of Kung Fu was the precursor for my entire Silk Road martial art tour series. Such great martial artists! Profound thanks to all. July 28 Azerbaijan World Taekwondo Federation - International Relations Director Jalal Safarov, who introduced me to some of their national team currently getting ready for the Olympic Games in Rio. Visited the Museum of the History of Azerbaijan (July 25), Palace of Shirvanshah (July 26) and many other famous historical & Silk Road sites. The American Kung Fu/Wushu scene has been very active lately and the interview with Turkish Wushu Federation President Abdurrahman Akyuz should be published in the kungfumagazine.com e-zine in the near future. The Taekwondo Times articles are published in their print magazine and consequently are not online. The February 2017 issue will carry Part V of the Silk Road Taekwondo Quest series, my experiences traveling through Turkmenistan including an interview with ITF 7th Dan Master Ayhan! While interviewing and in some cases training with the masters and their classes. Total Kilometers: 2, 058 Total Miles: 1,278 on the ground, while interviewing and in some cases training with the masters and their classes. Total Kilometers: 3156 Total Miles: 1,962 on the ground, while interviewing and in some cases training with the masters and their classes. On the ground, along the ancient Silk Road, interviewing the Masters of Kung Fu and Taekwondo all the way! "The Silk Road enriched the countries it passed through, transporting cultures, religions, languages and of course material goods into societies across Europe, Asia and Africa, and uniting them all with a common thread of cultural heritage and plural identities." It seems to me this ol' world could use a LOT more uniting, and I'm happy to help in my own small way as long as I get a good Kung Fu/Wushu and Taekwondo workout now and then, and heck, I rather enjoy swimming, biking and running too. In fact, I'd like to see a trans-national Silk Road Triathlon one day, and even greater cooperation between all these marvelous countries. Gotta say I've never met friendlier people. I read of lot of books about the Silk Roads and highly recommend this new book. Excellently researched and written. It's an "eye-opener." One Fighting Championship headquartered in Singapore is still GOING STRONG! Martin Luther King Jr. wrote: "The function of education is to teach one to think intensively and to think critically. Intelligence plus character - that is the goal of true education." 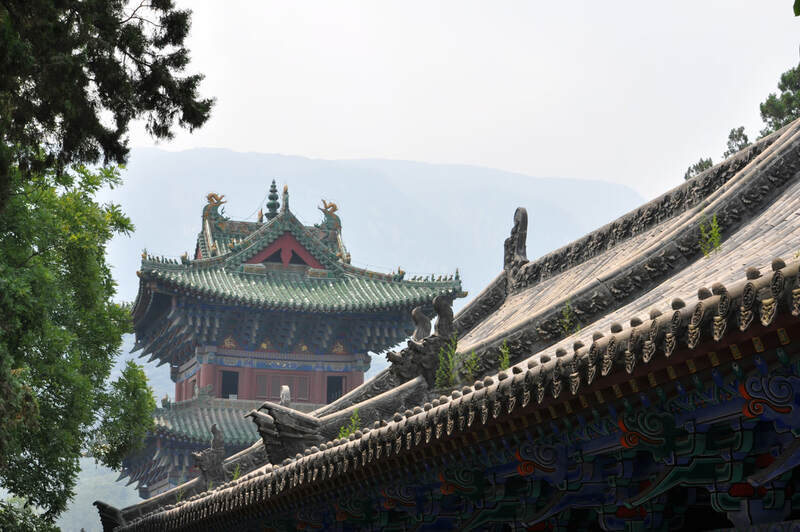 North Shaolin Monastery is being rebuilt on Panshan, in Jixian. 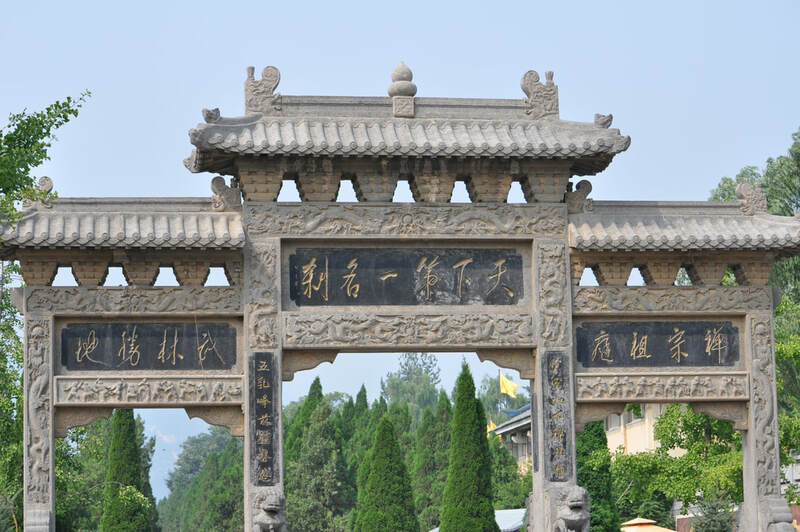 This site has some photos of the new temple and Shang Kung Fu of North Shaolin. Do your friends threaten to call the "fashion police" on you? If so, this is the place to start remolding your public image. In Chinese but Google Translator does a reasonable job of translating it. "Never give a sword to a man that cannot dance." This site is non-commercial. No fees are charged for listing and there are no paid ads.